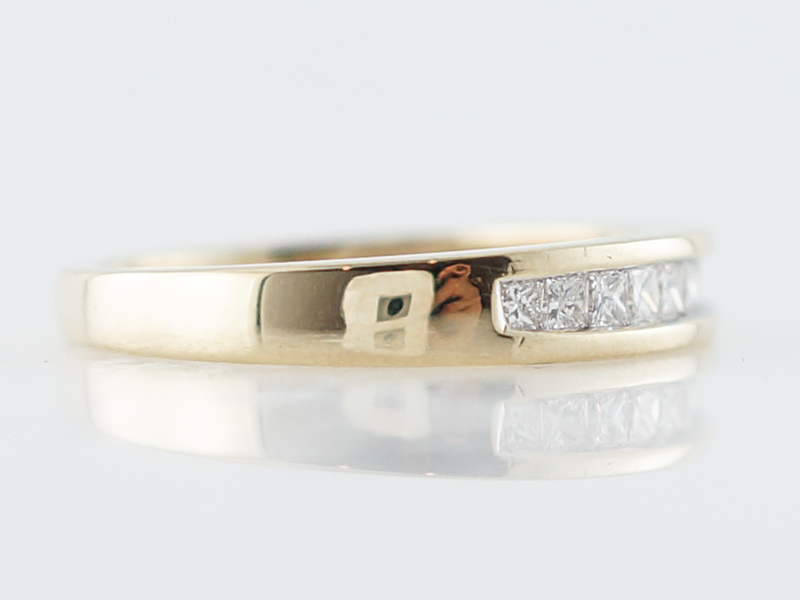 Princess cut diamonds offer such a pleasing and unique refraction of light and in this modern wedding band there is nothing to distract from the undeniable beauty and glamour of the cut. 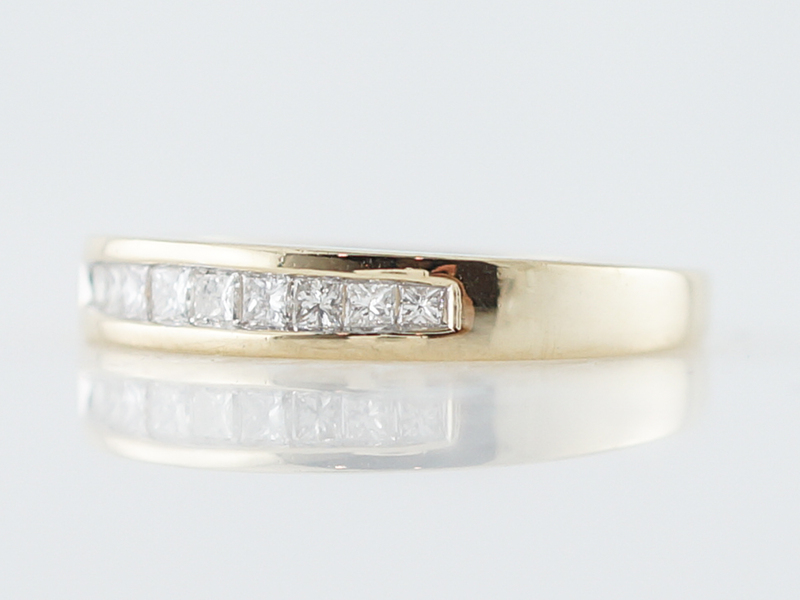 Channel set in 14k yellow gold, this piece displays nine (9) stones and carries a total diamond weight of .54 carat. 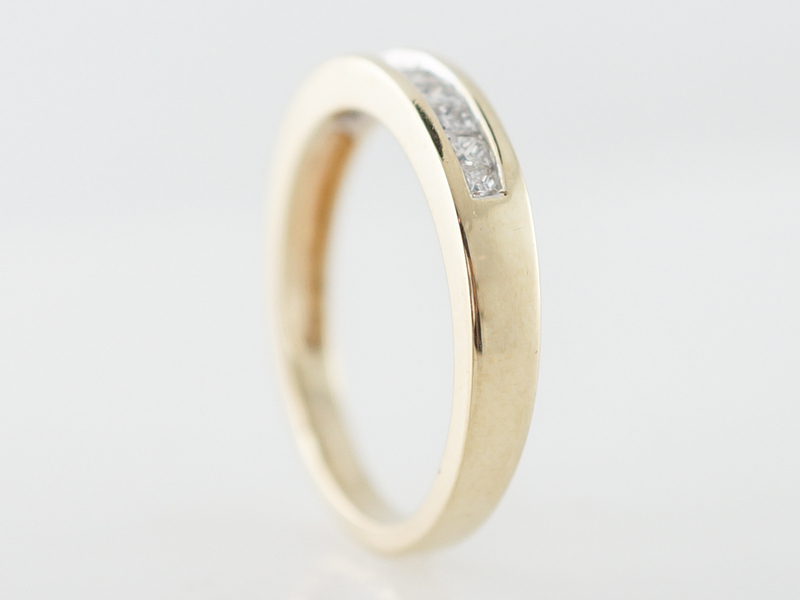 The overall appearance is sleek and modern, with an emphasis on the basic and time-honored union of gold and diamonds. 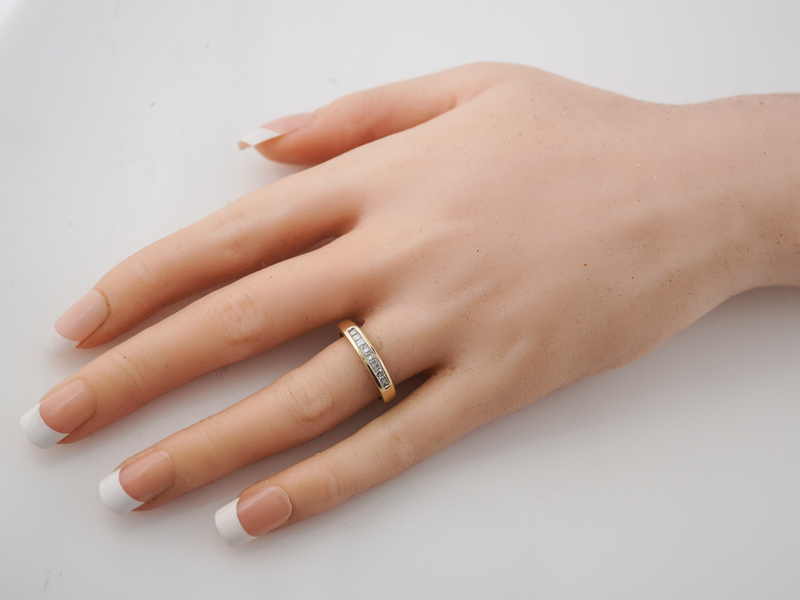 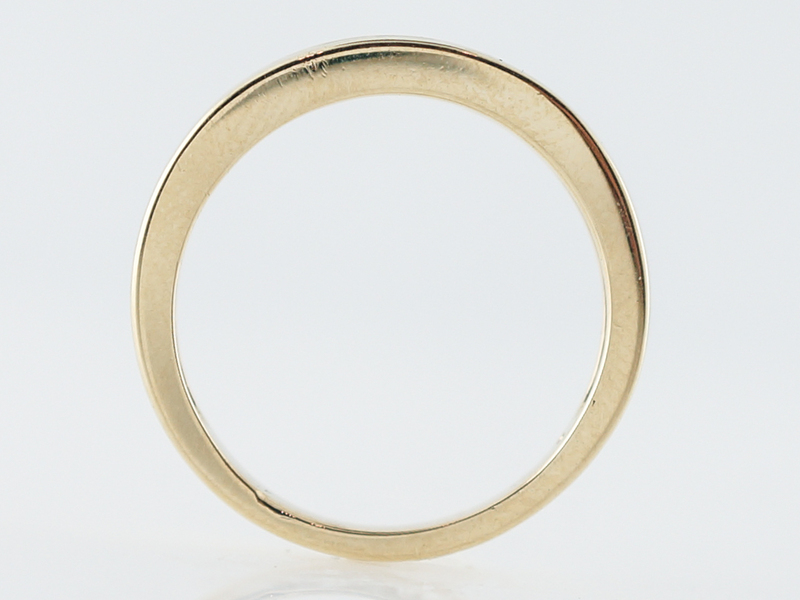 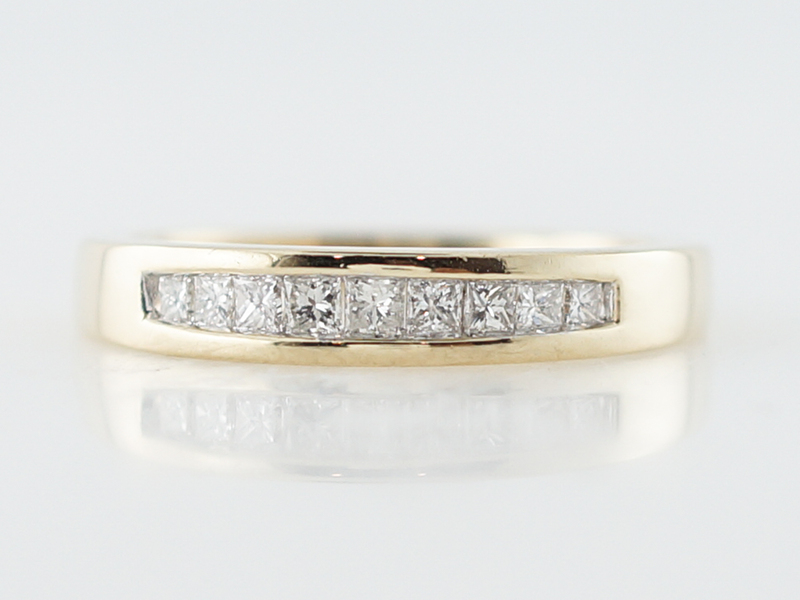 This wedding band would pair beautifully with one of our engagement rings or be great on it’s own.